An abundance of peace and tranquility at the end of a private road with oodles of space both inside and out. A range of accommodation for everyone from singles to large groups and even furry friends. 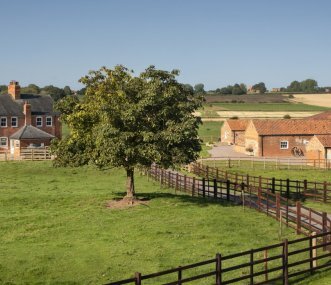 Spacious detached farmhouse near Stamford, overlooking unspoilt Rutland countryside. Fabulous 40 ft open plan kitchen/diner, great outdoor space ideal for alfresco dining. Hot tub. Off road parking. Marris Barn provides the perfect setting to socialise, hold family gatherings and celebrate special anniversaries and birthdays. The extended table at the Barn can accommodate 24 comfortably. The Barn and the Cottage provide self-catering holiday or short break accommodation for up to 26 people. Ideally suited for families, walking and cycling clubs, reunions, birthdays, or wedding guests. A few minutes stroll from the centre of historic Stamford. Free WiFi, free parking. 22 rooms, mostly en suite twins, and beautiful walled gardens. Self catering or catered available. Sleeps 45.